UK-based Five AI hopes to take on Google’s driverless cars. 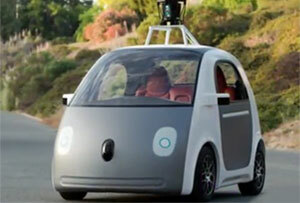 Five AI, a UK-based company is hoping to take on Google’s driverless cars. Its founder and CEO, Stan Boland is betting that British brainpower can beat American and Chinese cash. Since its launched in 2016, Five AI has been moving quickly as possible to design a driverless car with the hope that it will, at some point, gain regulatory approval to take to the roads without someone behind the wheel as a human failsafe. However, the company admits that its biggest challenge is funding. Compared to Google, which has invested £1.1billion on developing self-driving cars, Five AI has so far received investment of just £29million. The company’s total workforce is just 120 while Google’s autonomous vehicle business Waymo has over 3,500. With such numbers, Mr Boland admits that his project is "a gamble", and that "a number of bets have got to come off for it to work.” However, he is not the one to doubt his ambition.